It's officially November, which means that "end-of-the-year listicle" season is finally upon us. Recaps of the best products, moments, and events start to make their way online, allowing us to reflect on the biggest game-changers that the past year bestowed upon us. 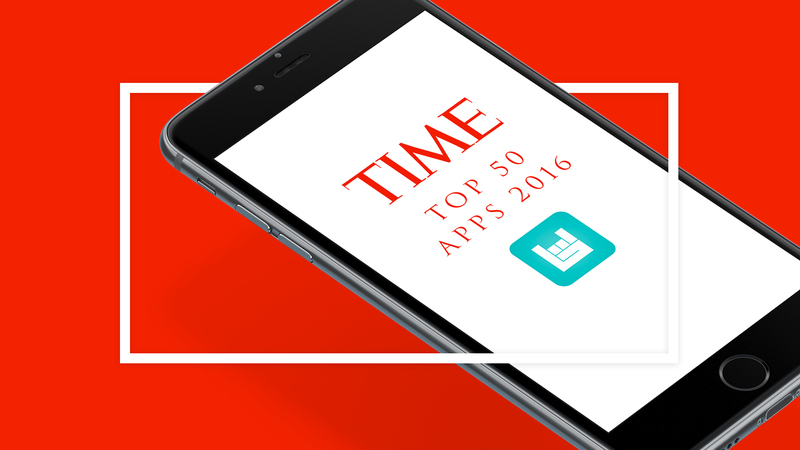 As a part of their 2016 roundup, TIME Magazine recently unveiled their "50 Best Apps of the Year", a collection of the best of the best that iPhone and Android have to offer. On that list? Bandsintown (insert party popper emoji here). Listed among other downloads that you definitely have on your smartphone device like Venmo and Spotify, Bandsintown was included for its ability to point users in the right direction for live music. Syncing up to your favorite artists to follow and listen to online, our app makes sure that you never miss a show in your city when it comes to town. Other notable features include the ability to sync your RSVPs to your calendar app, and an activity feed where you can see what shows your friends are attending, plus find news from artists you want to see in concert. Essentially, it's like having your own, personal music advisor in your pocket—handy right? On top of staying in-the-know as to who's playing at your favorite hotspots, Bandsintown also allows artists to message fans who've RSVP'd to their shows with live tour announcements. Merch updates? You got it. Email notifications? Also an option. To see what has millions hooked, download the Bandsintown app on iOS or Android, so that you never miss another beat. Download Bandsintown on iOS or Android now.